I had the pleasure of spending time in Paris wandering through the streets to discover the olfactic mysteries of the city. 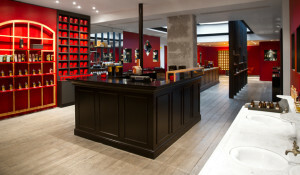 My first destination was the boutique Jovoy’s Perfumes in Rue Castiglione Paris 1st district. A magical world of wondrous luxury niche fragrances, chosen methodically by Mr François Henin, the owner and manager, who warmly welcomed me and showed me around. François is present most days, sharing his passion with clients who spend time to discover the delights of magical artisan perfumes, also known as rare perfumery. He has composed a beautiful magazine Notes on Notes which introduces the reader to artists, perfumers and designers “whose talents and visions bring our perfume to life every day“. 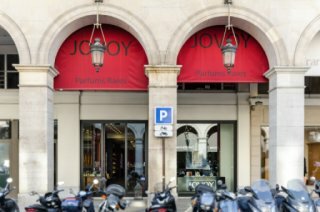 Give yourself plenty of time to discover this boutique where you can get lost in the mysteries of the voluptuous enchantments of rare perfumes.